Jorge Campos did a lot for the reputation of Mexican goalkeeping. At only 5 feet 6 inches tall, “El Brodie” Campos was never a likely candidate to become the first choice goalkeeper for a football crazy nation of over 100 million people. But, after playing professional football (very well) as a centre forward just to get noticed as a goalkeeper, he eventually managed to find his way into the limelight and finally notched up 130 caps and became Mexico’s most capped goalkeeper in the country’s history. But for all his success on the field, ironically Jorge Campos is perhaps remembered most for his outrageous goalkeeping kits and gloves. 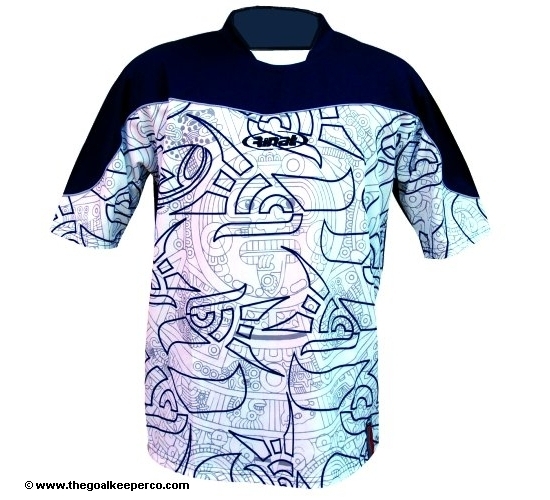 According to popular reports, Campos was the designer of his own kits and possibly also some of his gloves, which he appeared to design by throwing as many different clashing coloured paints as possible at a canvas, especially fluorescent yellow, pink and green, and turning it into a goalkeepers shirt. The pint-sized keeper also had a bizarre preference for fashion of the “baggy” genre – well, it was the 1990s – and would often wear his kit about 5 sizes too big. Possibly no goalkeeper before or since has managed to create such an impression with his kit alone. If Jorge Campos made goalkeeping shirts. Although Campos himself was associated with Reusch and Nike goalkeeper gloves, Mexico has since been overtaken by a new goalkeeping brand, which takes up the Campos spirit of loud, bright and unashamedly flamboyant design. Welcome to the stage, Mexican goalkeeping specialist, Rinat Soccer. Rinat is now one of Mexico’s biggest goalkeeping brands, with current Mexico international goalkeeper Oswaldo Sanchez wearing the Rinat Premier Uno goalkeeper gloves for the 2008-2009 season. Sanchez is known as “San Oswaldo” (Saint Oswaldo) in Mexico and is a hugely popular keeper, himself now on over 90 international caps and closing on Jorge Campos fast. Rinat goalkeeper gloves are also worn by a number of the Mexican top flight’s leading goalkeepers, including Miguel Calero, who notched up almost 60 caps for Colombia before his retirement from international football in 2007, Luis Michel of the Chivas Guadalajara, one of Mexico’s biggest club sides, and Omar ‘El Gato’ Ortiz of Necaxa, famous for his extensive tattoos and Rinat ‘Fenix Flame’ goalkeeper gloves, which feature flame images along the backhand of the fingers of the gloves. Actually established in Mexico in 1986 – the year of Diego Maradona’s ‘Hand of God’ Mexico World Cup – Rinat has taken some time to reach the international stage, launching in North America during the 2006-2007 season. But in the true spirit of Jorge Campos, Rinat comes with a barrage of bright, stylish, and sometimes frankly ludicrous goalkeeping kit designs, particularly its goalkeeper shirts. “Mesh polyester fabric with a unique breathable weave that helps keep the player cool on those hot matchdays. Elbow padding” – available in youth and adult sizes. “Short sleeved Aztec design jersey – 100% mesh polyester fabric with a unique breathable weave”. Based on its success in North America, where women’s football is a very big deal, Rinat is also proud to be one of the goalkeeping brands that best caters for women’s goalkeeping. The 2008-2009 season sees the launch of the Rinat Frida Kahlo range of women’s goalkeeping shirts, inspired by the designs of famous Mexican artist Frida Kahlo. 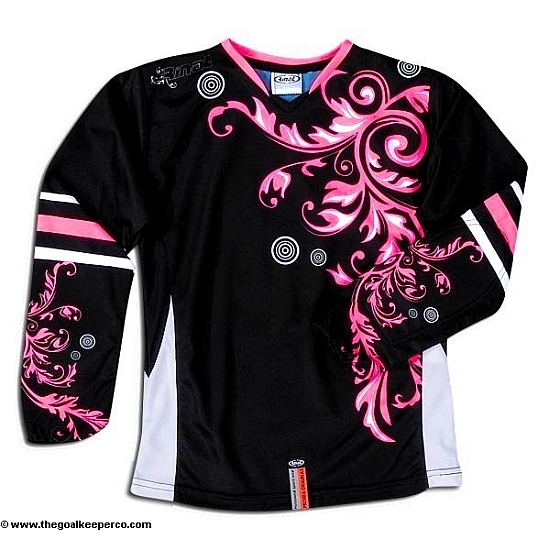 The Kahlo jerseys feature a special cut designed specially for women. I really, REALLY want that ‘Joker’ Design painted on the side of a Van. Now. I’ve tested myself rinat gloves, and i’m very very surprised because of the very good grip they have. They are also very cheap, and confortable, latex backhand and the palm is similar to a supersoft of uhlsport. Wow! those are awesome! 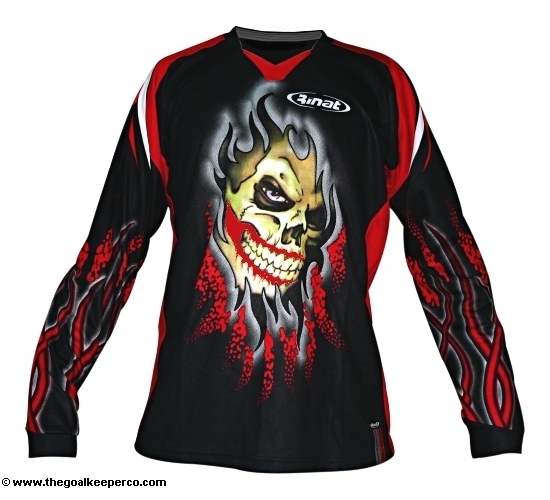 ive been a goalie since third grade(im now in eight) and all the shirts have always sucked. sometimes it was an orange pinny and others this huge ugly yellow one. these are the coolest kind ive ever seen! im so buying one!!!!!! !